I admit it, I am an addict. If the definition of addiction includes a compulsive dependency or physiological need for something, then chocolate is my addiction. There are times that I just couldn't keep myself from consuming it even if I wanted to... which, I don't. Why would I want to stop that pure, delicious flavor? 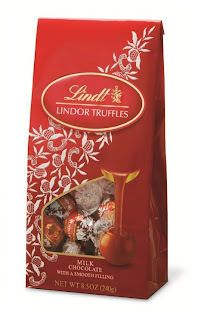 And out of the wide variety of brands and types out there, one that will forever make my mouth happy and satisfy my chocolate cravings are the amazingly smooth Lindor Truffles from Lindt. The extent of my addiction is clear by the fact that my mouth is watering just looking at the bag. 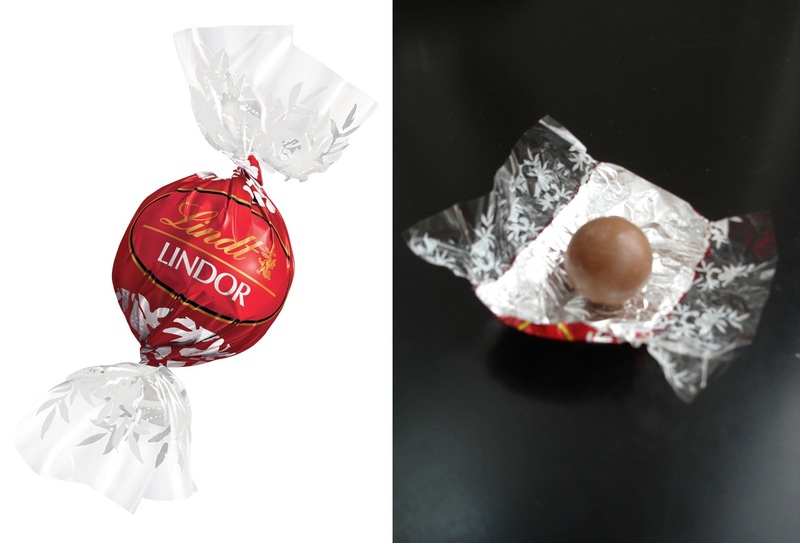 First created by Lindt Master Swiss Chocolatiers in 1949, the original Lindor milk chocolates started out in bar form and transitioned into Truffles in 1967. Originally a Christmas tree decoration for the holiday season, Lindt used their incredible chocolate recipe to create a smooth-melting filling surrounded by a delicious chocolate shell. Thanks to the positive responses and popularity of these new chocolates, Lindt began producing the milk chocolate Truffle year-round to keep up with overwhelming demand and are now available in more than ten different flavors. No matter whether you choose milk chocolate, white chocolate, dark chocolate, extra dark chocolate, peanut butter, hazelnut, stracciatella, dark orange, mint chocolate, raspberry, dark chocolate peppermint, coffee or milk chocolate with a white chocolate filling, your mouth will thank you! Yummmmmmmm! They truly are delicious! 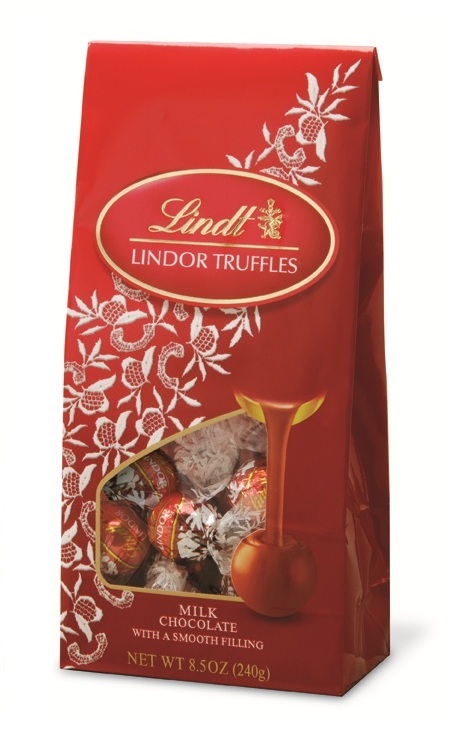 Having conquered the chocolate world with these delectable Truffles, what's next for Lindt? As a perfect companion to their popular Facebook and Twitter pages, you can now find an inside look at what is going on behind the scenes in the chocolate industry with their new blog, Lindt Chocolate Unwrapped. The first chocolate manufacturer to launch an online blog, Lindt Chocolate Unwrapped provides insight into the inner workings of Lindt and covers topics like product research and development, recipes (did I mention yum? ), consumer promotions and more. You will also be able to find advice from Lindt Master Chocolatiers and posts from a variety of authors to gain their perspectives and wealth of knowledge. So what are you waiting for? Head over to Lindt Chocolate Unwrapped to find the latest and greatest information (but be warned, finding out things such as today being National White Chocolate Day might put your taste buds on full alert!) and then visit Lindt USA to shop for all of the best chocolate products you can imagine. There is a collection of Fall and Halloween treats and gifts that I would much rather find in my trick-or-treat bag than another candy bar! These are my faves!!! Every year I ask hubby to fill my Christmas Stocking with them. Hi there! I'm a new follower..I think. I mean I thought I followed , perhaps you changed the looks recently, because I already followed you on twitter...lol !! Anyways if you haven't already, stop by my blog and follow back. I love these! What am I saying--I love chocolate period! Oh my goodness...I'm a chocolate addict too, and these look so delicious!